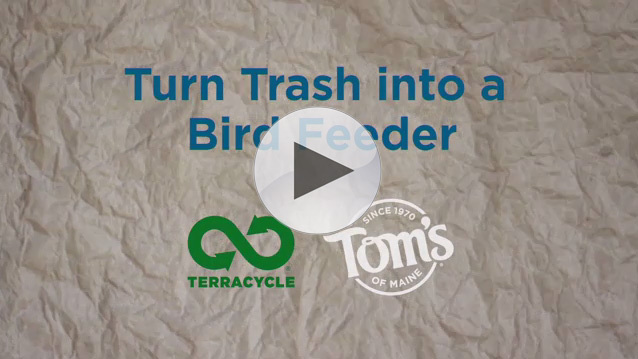 Tom’s of Maine gives 10% of profits back to helping people and the planet. You can learn more about Tom’s of Maine and how the company makes its products by visiting www.TomsofMaine.com and www.Facebook.com/TomsofMaine. Tom’s of Maine is a leading natural products company focused on oral and personal care carrying high quality toothpaste, mouthwash, dental floss, antiperspirant, deodorant, bar soap, lip balm and baby shampoo and lotion products. Our Stewardship Model guides every decision we make ensuring that our ingredients, processing, and packaging meet our rigorous standards for being natural, sustainable, and responsible. For over 45 years, Tom’s of Maine has invested in hundreds of nonprofit efforts by giving 10% of its profits back to organizations that support people and the planet and by encouraging employees to use 5% (12 days) of paid time to volunteer. 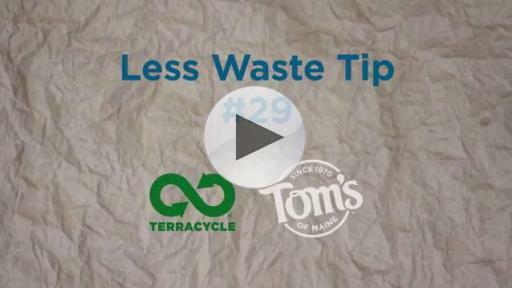 Tom’s of Maine employees regularly contribute suggestions for improving the company's high sustainability standards. And their ideas, from wind power to ways to improve recycled and recyclable packaging options, are critical to the company's sensitive way of doing business. Most Tom's of Maine products are vegan, kosher and halal certified and gluten-free. All packaging is recyclable through a partnership with upcycling leader TerraCycle or participating municipalities. Tom's of Maine values partnering with its consumers, suppliers and community organizations to support lasting, positive change that is good for people and the planet. To learn more visit us online at http://www.tomsofmaine.com/ or at http://www.facebook.com/TomsofMaine. 1 Environmental Protection Agency. (2016). Municipal Solid Waste. Retrieved from http://www3.epa.gov/epawaste/nonhaz/municipal. 2 Eco Lunchbox. (2016). Lunch Study. Retrieved from http://ecolunchboxes.com/lunchstudy.